There are plenty of cable dramas which averages between 5% to 6% ratings and given reward trips by cable networks. Encounter average rating is 8.475. Although I could not imagine PBG and SHK going on reward trips, PBG is very busy with Asian Tour while SHK does not always participate in these kinds of activities. [Interview] "Encounter" Park Bo-gum, "Was there chemistry with Song Hye-kyo? Park Bo-gum from "Encounter" talked about working with Song Hye-kyo. He said, "It was amazing working with her and she displayed her character of Cha Soo-hyeon so well. Thanks to her I was able to focus on my role as Kim Jin-hyeok". He also added that close friend and Song Hye-kyo's husband Song Joong-ki didn't say much about the drama yet. Many worried about the chemistry between the two actors because of their age gap. Park Bo-gum said, "Despite our age difference, we didn't feel a distance. We were both aware of our characters so it wasn't hard to click. I would like to ask on the other hand, if there wasn't any chemistry between us?" "Encounter" is a romantic drama about a woman who's never lived a life of her choice before and a man who is free-spirited. The drama ended on the 24th with a viewing percentage of 8.7%. Park Bo-gum played Kim Jin-hyeok, a young man who was raised under loving parents. He falls in love with Cha Soo-hyeon (Song Hye-kyo) he meets in Cuba and overcomes a love that goes through many obstacles. @stardustvoid While I understand what you said and I can see that it was devastating for both sides, I'm not sure if there was a "better" way to part ways in this circumstance :). In this﻿﻿﻿ scene and other scene - after KJH buy her a sandal..﻿ ﻿where is CSH heels? Did she hold it or inside his bag..
The﻿ incessant phone calls with no answer, the begging and p﻿lea﻿ding. Good lawd, I've been ther﻿e﻿. Then﻿ you can distinguish an invisible frame in this picture, it really looks like there is a glass or a window between them. And this invisible frame corresponds to the invisible change in CSH. Thank you for the break up analysis. Looking at this scene again, it gives me goosebumps. It’s as if CSH went back into the frame. Into her own world, seeking solace of what she’s about to do. It also shows how little CSH knows about love. Because, girl, you’re not supposed to be sooo sweet and lovey dovey before you plan to break a relationship! That will make it a hundred times worse! like @stardustvoid, I have been there and it’s more like a blow in the gut. It’s a shotgun to your heart. You will be left with nothing but that last memory when you were happy. Every break up is messy no matter how you put it. Aigoooo~~~ it’s breaking my heart just thinking about Epi 15. PS. Please merge my posts. It didnt merge on it’s own. Im using my phone right now. Thanks! 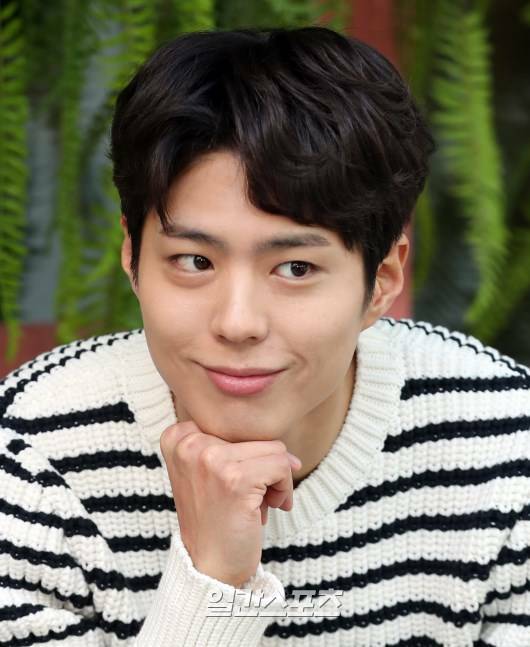 Actor Park Bo-gum said he was ashamed of his nickname, "The KissJang". Park Bo-gum, who appeared in the cable TVN drama "My boyfriend," was interviewed at a cafe in Sinsa-dong, Gangnam-gu, Seoul on Wednesday afternoon. The term "kissjang" which was naturally followed by the phrase "kissjang" was used to describe Park's feelings as "awkward." "Thank you for taking good care of me. "I think it was possible for the director to shoot with beautiful pictures," he said, expressing humility, and repeatedly said, "I'm grateful that you did a good job." so I took the scene where I cried first, and then I met her at a cafe." "When I saw Cha Soo Hyun, my emotions came first. Cha Soo-hyun, the most emotional one, said, 'Your mom made me tangerine. I don't want to break up your simple and pretty home and preciousness. Jin-hyuk has become more serious and mature as he meets, deals with, loves, and recognizes Cha Soo-hyun. "I also wanted to show the growth of Jin-hyuk with my eyes, facial expressions and drunk behaviors." In response, Park asked him to compare Kim Jin-hyuk, who is nearing the end of his "boyfriend," with another fruit. Park, who had been agonizing over the question for a long time, picked Bae. "A pear reminds me of a good image for any food," he said. "I have the ability to cope with the situation with fluency and flexibility." "The shape of a large, solid ship looks like Jin-hyuk, who has grown stronger and bigger in his mind as he goes through various situations," he said. "I was able to concentrate and immerse myself in Kim Jin-hyuk as I saw my senior acting like a real person," Park said in expressing his gratitude. "There are emotions that I can feel when I act with the eyes of people when I'm filming emotional scenes. "I've received enough emotion from the character (from Song Hye-kyo) and I think many viewers have liked it." During the interview, Park repeatedly said, "Thank viewers for their love for Jin-hyuk and Soo-hyun." "I'm very thankful that you loved us so much," he said. "I was especially encouraged when I saw that mothers and fathers slept and enjoyed "boyfriends." The response was not only supported by actors but also by the staff. "I think it's a quiet, warm, week-long drama," he said, expressing satisfaction. However, like all dramas, 'boyfriend' was also criticized in some ways. Regarding this, Park said, I think we should be able to listen to critical stories. That way, people can grow. "I'm grateful to those who objectively looked at me," he said. "But my core is not shaken." Park Bo-gum said, "boyfriend" had enough messages to deliver. "Although the standard of "Nyeongbeom" is unclear, I think there are a lot of things you will realize by seeing someone find happiness in their daily lives," he repeatedly showed affection for his work. Park Bogum revealed how Song Joongki reacted to his wife Song Hyekyo's romance in the drama. During the round-up interview of the drama, Park Bogum talked about how best friend-slash-senior Song Joongki responded to his romance with Song Hyekyo in the drama. Park Bogum explained, "I did not have a romantic relationship with my sister-in-law (Song Hyekyo) but with Cha Soohyun (Song Hyeyko's character in the drama)." Park Bogum continued, "I think Song Joongki is too busy with his own work, 'Asadal Chronicles,' so he did not give me any big feedback." Park Bogum even called Song Hyekyo as his sister-in-law, meaning that he feels that Song Joongki is his own older brother. Given so, there's low possibility that Song Joongki gets jealous of Park Bogum. Meanwhile, Song Joongki is currently working on his upcoming drama 'Asadal Chronicles,' in which he will play with Kim Jiwon. Because of her coat , i became positive she won't break up with Jh, but still she did. Now i realized from your analysis, when Jh went to her office to say he won't break up, her face is not a cold face but of sadness because her love never changes and feels regretting what she did, its just she has to make some sacrifices. Rewatching episode 5, the map of the camino de santiago trail is on the wall of ms. Lee's tea house, On the side of the table . We got the map, we got the plan, now all we need is the actual scene! Sorry for cutting your original post. I think mostly everyone feels the same way. And the only reason we're not hating on SH was because we know why exactly she's breaking up with him. I understood why she had to but I myself couldn't rewatch episode 15 as well. The pain caused by the break up felt so devastatingly real. So even though Encounter ended happily, episode 14 and 15 is not in my rewatch list. I don't want to be emotionally drained again. The full ost is now out on iTunes. The particular instrumental piece is called Every Breath, and is my favourite too. That scene of Soohyun climbing the steps with the flashbacks to her visit to Teacher Lee’s...amazingly filmic with this sweet track accompanying her. @thepixies post the title ! glad to see more analysis and discussions still going on here. I can't move on yet, maybe will take some time, so still regularly checking anything related to Encounter. The drama Boyfriend ranked 1ST in terms of the latest Content Power Index Ranking! @gumtaekCongratulations to our Encounter and Casts&Crews. Even after the end of Boyfriend, Park Bo-gum and Song Hye-kyo's "boyfriend" has been very strong. According to the CPI, a consumer behavior-based content impact measurement model co-developed by CJ ENM and Nielsen Korea, TVN 'boyfriend' topped the list of the popular programs. Last week, it was the 3rd, but it became No. 1 again. The meeting between Park Bo-gum and Song Hye-kyo drew a lot of attention even before the beginning. The 16th episode ended on July 24, and a beautiful love story made by Park Bo-gum and Song Hye-kyo still leaves a strong aftertaste. But him acting it out on “Encounter” was spot on! Park Bo Gum recently held an interview to reflect on the ending of his drama Encounter. During the interview, he confessed that he was supposed to act out a scene that he’s never experience in real life! To many’s surprise, Park Bo Gum was referring to the legendary scene where his character, Jin Hyuk, gets drunk and has the cutest interaction with Song Hye Kyo’s character, Soo Hyun! He revealed that he never got drunk. He doesn’t know what it feels like to be drunk! @dukesa1122 @NongpeeP @stardustvoid @roshzanna @shyguitar @thistle @xu_lyfe Thanks a lot for the encouraging words and the good appreciation. Honestly, I would stop writing here if no one thanked me or replied to my analysis. As for the break up, CSH was not different from JWS in the end. She did the same thing, the only difference between them is that she thought that if she used a different way to part from him, he would be less hurt. First, she didn't use the media like her husband. Due to the fake affair, she became scrutinized. Here, she uses the social media in order to show JH in a positive light. That's why she wasn't reluctant to be seen dating JH. Secondly, the break up is not revealed to the media. It is like a secret, while it was the opposite with JWS. The latter sacrificed his marriage because he "loved" her (but I doubt the deepness of his feelings), CSH is doing the same. She sacrificed her love in order to protect JH, she doesn't want to ruin his happy family. She copied JWS in a certain sense that's why I can not support her action. She was cruel as like JWS, she never took JH's feelings into consideration. It was decided by her and JH had no right to speak. She actually didn't explain the reason because she knew that if she did, JH would never accept the break up which did happen. He came back to her after hearing his parents' conversation. She had to say something more cruel to JH. It was cruel for my taste, no matter why and how. Honestly, I would stop writing here if no one thanked me or replied to my analysis. CSH has already decided to break up with KJH, nevertheless the latter is unaware of her decision. Since she knows that a bad break up can be really painful due to her husband's fake affair, she decided to leave a good memory behind believing that this would lessen the pain. And we all know that no matter how you break up, the pain will never be lessened. Since KJH had proposed as a date to visit a book store together where they could read books together and exchange their favorite book, CSH thought, she needed to grant his wish. She knew that this would be his favorite date, the perfect date. Our heroine chose as book Alice in Wonderland and KJH The little Prince. Yet, the perfect date ended here. I chose this taking because it perfectly fits the situation. Their future separation is illustrated in this scene. The counter serves as border, just like the decoration with the books on the ceiling. Moreover, CSH is standing far away from KJH reinforcing this impression that CSH has returned to her own world. The distance between them in this taking illustrates the inner distance CSH created. Then you can distinguish an invisible frame in this picture, it really looks like there is a glass or a window between them. And this invisible frame corresponds to the invisible change in CSH. CSH has not just started to put a boundary between herself and KJH but also put a gap between them and KJH is unaware of it. She doesn't share her thoughts and feelings any longer. She is actually hiding behind her smile that's why KJH is so happy. He said once that seeing her smile would make his day. So he thinks, CSH is happy. Striking is that CSH has adopted KJH's mannerism. The latter did the same in the past. He never wanted people around him to worry and burden them hence he smiled a lot. The illusion is perfect: she smiles, they spent a good time together so for him, everything is perfect. Yet, she is about to hurt him terribly because he is not expecting it. Strangely, while KJH is waiting at the counter, he waves to her. His gesture means for him (Here I am, look at me! ), however for CSH it means the opposite: waving goodbye. Remember that she wanted to break up at the end of this perfect date but she couldn't as KJH offered her a gift: the camera case with her name on it. That's why she had to postpone it and find the right time. She came to the conclusion that the timing is as important as the way of parting. yet, she is making a huge mistake because no matter how and when, breaking up is really painful. Yet, there is one thing that caught my attention: she is wearing a red coat. First red is her favorite color (see the dress in Cuba) but she is showing her love for KJH by wearing such a color. She is even catching people's attention with her coat. So loving KJH has definitely changed her. She might put an invisible distance and boundary between herself and her boyfriend, yet she is not giving up on her love. She has decided to love KJH but from a distance... so her love will remain despite the break up. As you can see, KJH's words and behavior have influenced her greatly, she is a changed woman, although there is still something that KJH couldn't change: her insecurities and fears, the last wall he couldn't tear apart. PS: Tomorrow, it will be about The Little Prince as wished. Thank you for sharing. You know what, when I read your analysis, it took me a long time to reply because I have to rewatch the scenes you mentioned in order to explore my feeling related to your topic. Yesterday for "The Bride" topic, I took time before I wrote back late night because I think, rewatch, and think what I found from thouroughly rewatching again. For the"The Perfect Date as A farewell", I totally agreed with your analysis that break up no matter what way it hurts. I found out that two women whom KJH loves the most in the world made a decision for KJH that time can cure him. Both of them knows KJH's firmed being as KJH's father mentioned to his mom, KJH has not easily changed with time. For CSH, she assumed whatever way opposite to what she has been broken by her ex-husband is okay for break up; therefore, she selected the way of good memory and then giving the reason to protect KJH and his family. CSH might forget the fact what upset KJH the most in the previous asking for a break from relationship is that he considered himself too weak when CSH considered that he can not bear this unfavorable impact from being in relationship with CSH. CSH did it again with this break up. She gave the reason implicitly that she judged KJH was too weak to be vulnerable from this relationship so break up is the solution. Similarly, KJH's mom gave the reason to KJH's father which KJH heard by himself that KJH's mom wanna protect KJH from his future hurt and harm by stopping his relationship with CSH now, his mom also thought the same point as CSH that KJH was too weak to bear the coming pains from being in relationship with CSH. Both of them can indicate the reason why they chose this choice for KJH which upset him the most even both of them tried to convince that they loves him but they both did consider him too weak implicitly. - CSH lived her life in working and dealt with her father's matter. What would these two women leave the choice to let KJH act with this break up situation? With mom, he has to act okay. With CSH, after he tried to ask for her reconsidering a couple times, he has to find more ways with brains and hearts to try reconciling. Both of them loves KJH but they can hurt his pride to be too weak and also make him choose to be in their choice's way of life. It might not be obviously forceful as Ex-husband's mom and Ex-husband to CSH but it hurt KJH's inner very severely. In addition to KJH's mom and CSH, when I rewatched, CSH's father is very influencial to CSH whether she chose to break up or reconcile. - In ep9, after CSH met her father and he mentioned KJH might not bear abnormality from being in the strong limelight, that night, CSH asked KJH for a break from relationship. - In ep16, Deja Vu in the opposite way, when CSH's father mentioned CSH can not live by protecting significant other for the rest of her life, and when she saw her shoes that KJH kept with care for a long time, she was brave to go back to KJH. CSH's father might be the real guidance to KJH's relationship with CSH. Luckily, at the end of ep16, KJH himself has visited CSH's father ocassionally in order to let the father check and recheck how KJH is in CSH's dad's opinion and how happy CSH is with him. KJH should really be acquaint to CSH's father because of his substancial influence to CSH.